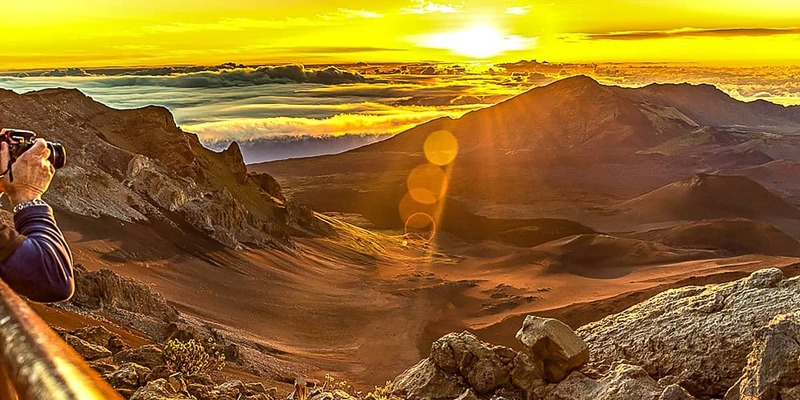 Experience the magical Maui sunrise on-top of Haleakala’s summit at 10,000 feet inside Haleakala National Park and then enjoy a bicycle safari down the mountain where you will gently descend 21 switchbacks on the Western slope of the worlds largest resting volcano. 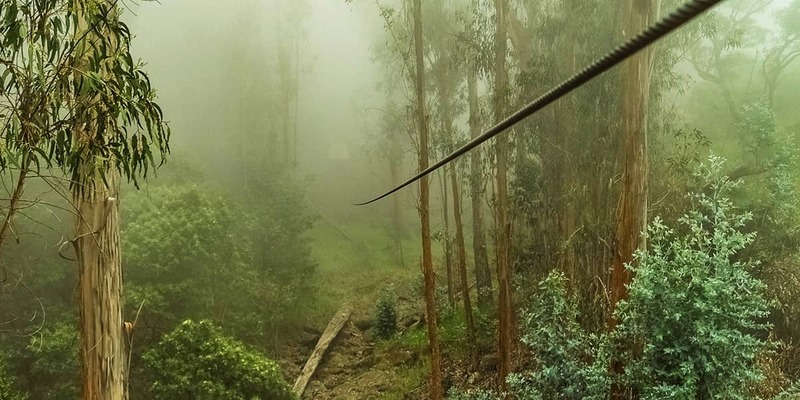 You will then arrive at Skyline’s Haleakala Zipline course and Maui Lavender Farm where you will begin your Zipline adventure on the 1st Zipline course in the U.S. including Maui’s only “Pendulum” Zipline where you reach speeds of 45mph. and Zip forwards and backwards! $260.00 Per person must be 12 years or older. A round-trip transfer from your hotel. 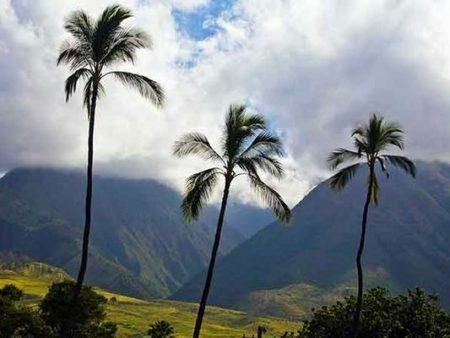 Entrance fee to the Haleakala National Park is included. 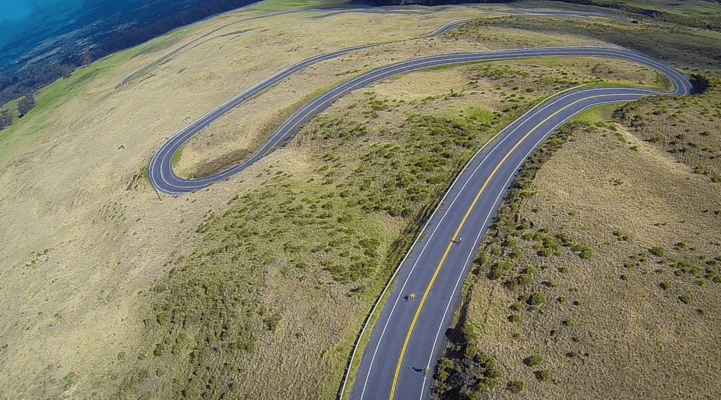 You will view sunrise from above the clouds and see the magnificent Haleakala Crater from atop 10,000′ elevation. 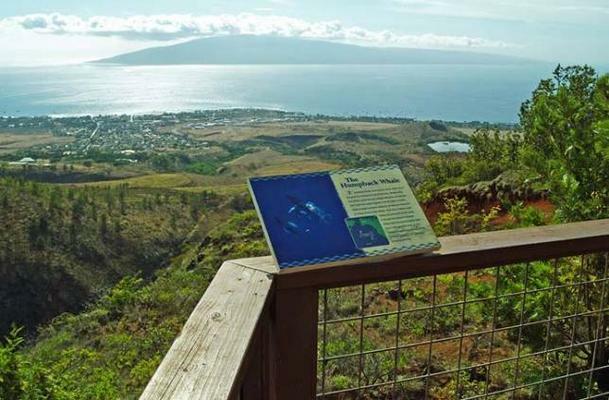 You will learn about the history of Haleakala, visit the Silversword plants, native endangered species and birds that have made Haleakala their permanent home. 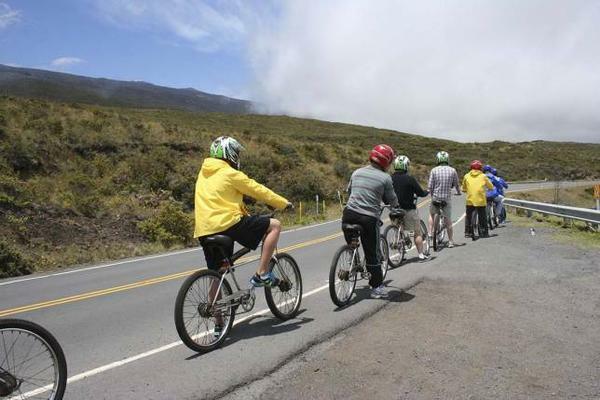 Tour Guides will go over a comprehensive safety briefing including Hawaii’s bicycle safety regulations and tour guidelines. 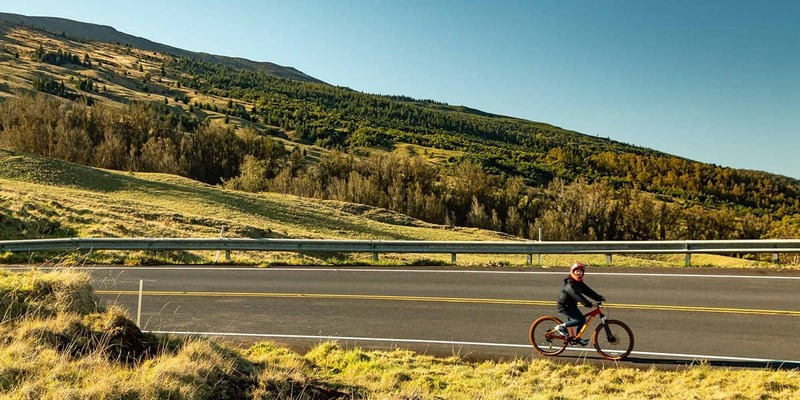 Your bicycle safari begins at 6500′ elevation of Mount Haleakala, outside the park, where you will gently descend the 21 switchbacks on the western slopes of the worlds largest resting volcano with only 200 yards of pedaling. 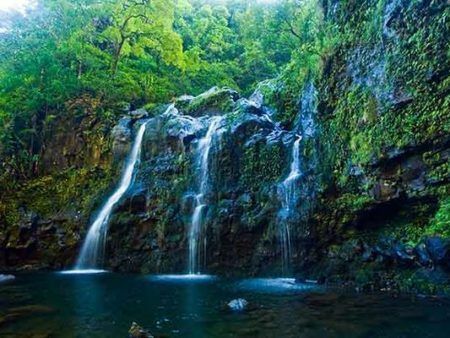 There will be photo stops along your journey to take home Maui’s magical moments. Tour duration approximately 8-9 hours. Minimum 12 years of age and riders must be between 80 to 250 lbs. 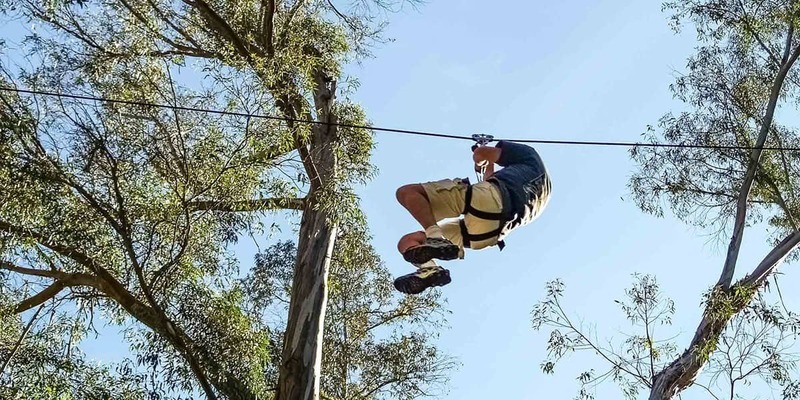 To participate in the Zipline portion of this tour, guests will be weighed upon check in at the Zipline course and must not exceed 250 lbs. 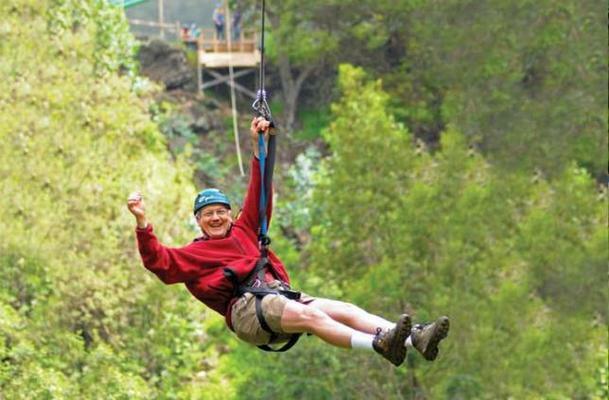 or participant will not be able to participate in the Zipline portion of this tour. 5 feet tall guideline height for the Bike tour portion. No Riders may participate with medical conditions. 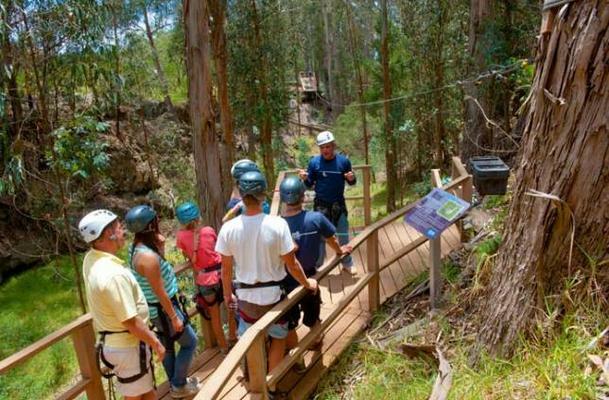 Able to hike 1/2 mile at elevation or over uneven surfaces for the Zipline Eco Adventure. 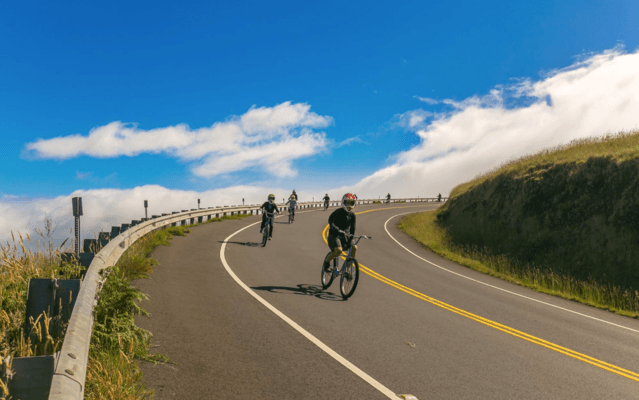 Riders must sign acknowledgement of risk & safety form for Maui Downhill and Skyline Eco-Adventures. 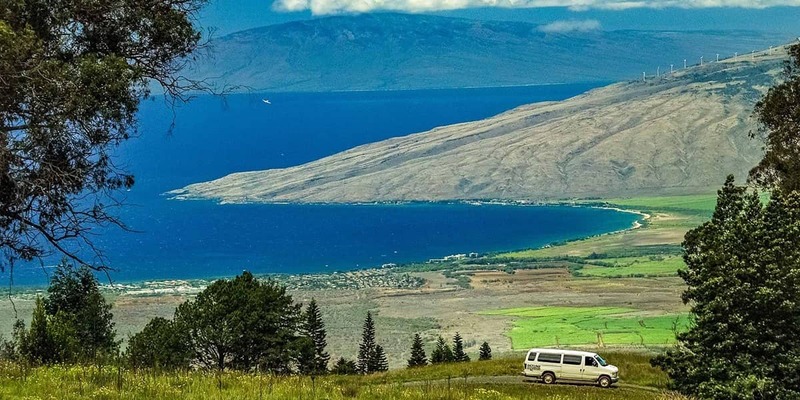 When you first arrive on the island, you are likely to find yourself in Kahului, Maui’s commercial center located in Central Maui. Kahului is also known as “Dream City”, the first planned city of the islands which was designed with many affordably-priced homes. 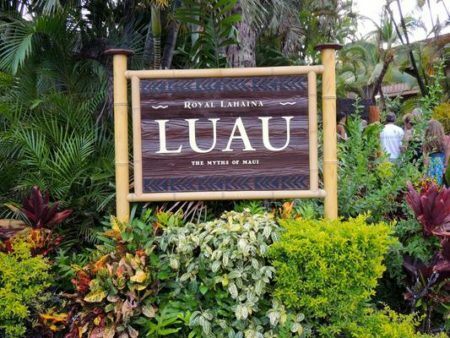 Enjoy the aroma of the fresh salty Maui air as the Royal Lahaina tells their story through traditional song and dance of Hawaiian, Tahitian, Samoan, and Maori culture. With a death defying performance by professional fire knife dancers and a tropical feast of your luau favorites from Shoyu chicken to Kalua pork and more, you won’t want to miss the luau of a lifetime!